Tea-loving mountain man, writer-photographer, expedition guide and trades-route historian — for almost two decades, Canadian Jeff Fuchs has wandered in self-propelled exile looking for inviting places to stop and share tea. 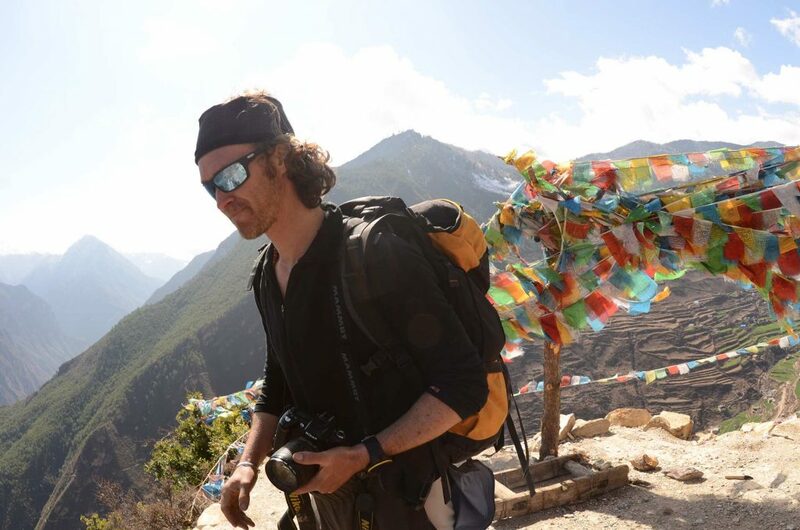 An ancient tea-road expert — he was the first Westerner to trek the entire length of the Tea Horse Road, retracing the once-trodden route that took tea from China to Europe and beyond — Fuchs is a fierce expeditioner, but never journeys just for adventure. His mission? To explore local culture and ancient travelling routes, and to take tea with people who have a connection to place. All of which he does in Peru, exploring stories of the Andean highlands and rugged foothills, of deep valleys and the trails of the Great Qhapaq Ñan — the Road of the Inca. Widely considered one of the greatest engineering feats in human history — it was 20,000 miles (32,000 km) of interconnected trails, roads, bridges and outposts over the mountain, jungle and coastal lands of western South America — the Qhapaq Ñan was the tactical tool used by the Incas to rule over a powerful and vast but short-lived empire that came to end with the Spanish Conquest of 1532. (Ironically, it was also used by the Spanish to navigate and conquer the region.) Though today much of the ancient road is overgrown, some of it lives on — as do the Incas’ descendants, the Andean people. With prayer flags near the Kawa Karpo Pass in the Himalayas, where Jeff lived for several years. In Peru, Jeff led a team of adventurers across the Salkantay Trek to the community of Chawaytiri to the highlands of Tanta — pack-llamas in tow; tea at the ready — listening to the stories of the indigenous Quechua people, learning about the Great Inca Road Network and the ancient peoples who thrived in this region for millennia. A highly-respected international tea expert and businessman — his Jalam Teas took top honours at the Toronto Tea Festival this year — Jeff was voted one of Canada’s Greatest Explorers by the Canadian Geographic Society, and is a Royal Geographic Society Fellow. And though he’s as tough as the mountains he lived in for years, one thing is certain: he never travels without tea to share by campfire or candlelight on a river or a highland floor. READ Jeff’s and other stories on Peru here.